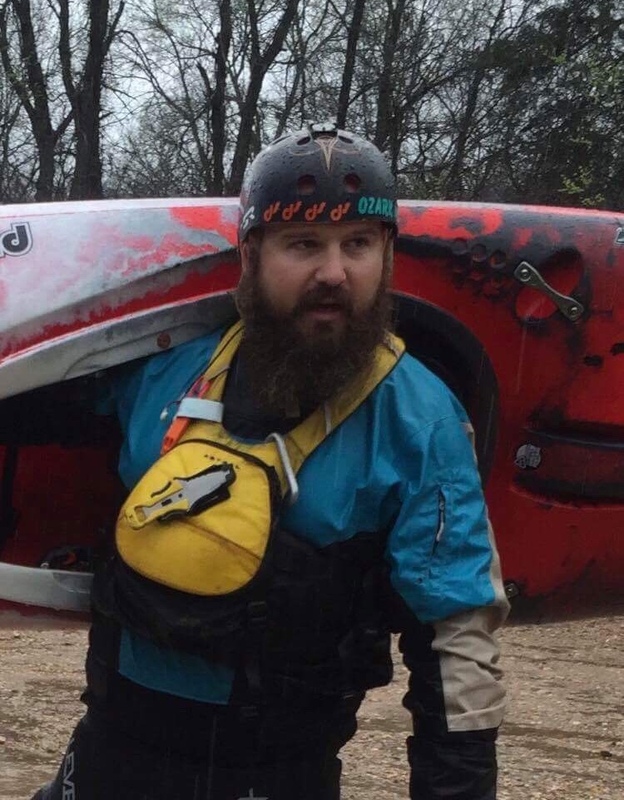 Kayak of Choice | Wilderness Systems A.T.A.K. 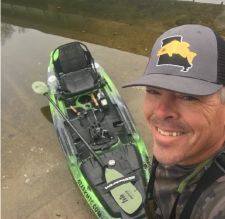 Why kayak fishing | I got into kayak fishing about six or seven years ago and just really love the solitude and be able to get into places that bass boat can't get and being able to put in wherever I like. Rod | Reel | Line - Arkee Rods, Lews Reels, Seagaur Line. I use 8-pound test for spinning reels in a 5.1:1 and 15-pound for baitcasters in 6.4:1 gear ratio. Go to lure / technique | Spot Remover Shakey Head in Watermelon Red or Green Pumpkin. White 1/2oz. spinnerbait with a gold willow blade and silver Colorado blade. 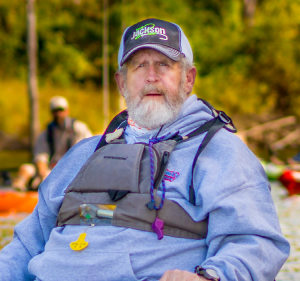 Why kayak fishing | There is a strong community surrounding the sport of kayak fishing. Anyone new or experienced can feel like they belong. Go to lure / technique | 80% of my fishing is with a fly rod, so streamers and crawfish/hellgrammite patterns. For spinning my go-to is the Ned Rig-2.5" Z-Man in Green Pumpkin or Mud Minnow and spy baits. 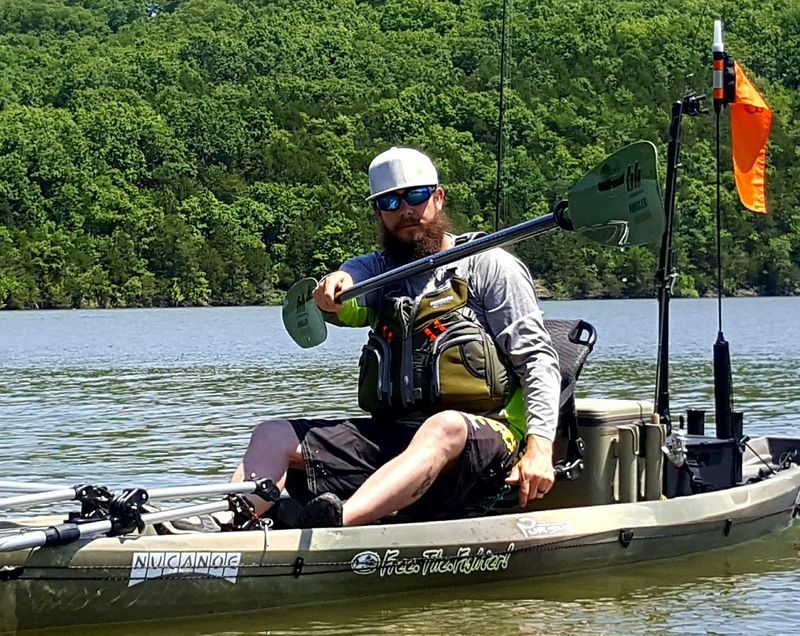 Why kayak fishing | The ability to reach waters unavailable to wading or bigger boats. The quiet and solitude of floating an Ozarks river. Stealth for wary fish. Why kayak fishing | I grew up fishing smallmouth in the cold rivers of Michigan's Upper Peninsula. At 7 years old I started fishing from a 12 foot canoe with my brother. We were given free reign to take that boat anywhere we could manage to get it to. And that's what we did. We fished for several years exclusively from that canoe until my parents bought 18' sea kayaks. Those kayaks opened my eyes to a whole new world of fishing independently. Shortly after that I saved enough money and got a kayak of my own and have been kayak fishing for 27 years now. Favorite body of water | I've got a new favorite lake this year - Bull Shoals. 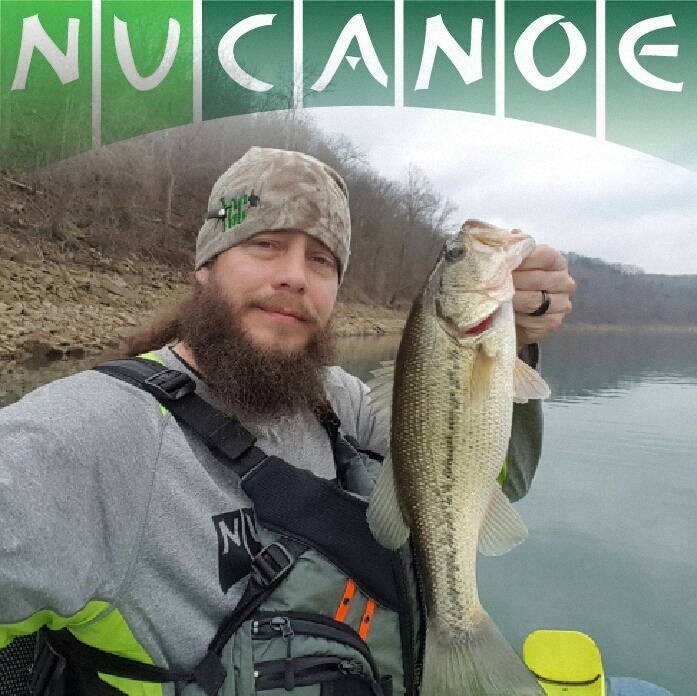 This lake was on the list for the 2018 Kayak Bass Fishing Tournament Trail in April. The conditions were sub par with a winter storm that blew in just before the tournament started. It was so cold my line froze to the guides mid cast. But the fish didnt mind the cold because they were chomping a squarebill crankbait. Caught my person best smallmouth bass and won my first national trail event with 89.25". That was my best day of tournament fishing and why my new favorite lake is Bull Shoals. Go to lure / technique | Crank baits are quickly becoming my go to. They work year round. For years jigs and soft plastics have been my first choice and are still part of the arsonal. The ned rig has put some huge limits of bass in the boat in 2018 and is one of my favorite lures for SWEPCO lake. 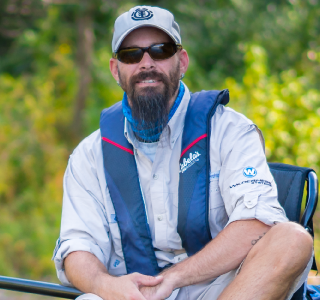 Why kayak fishing | The kayak has provided a way for me to get off the bank. I really like to explore and go places people think is too far to be out in a kayak. 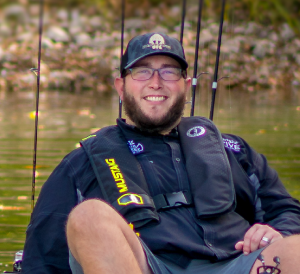 Why kayak fishing | Since I bought my first kayak I learned that I have less worries, “Is the plug in? Is the motor going to start?” Kayak fishing gives me the freedom to not have these worries and also all the places I can go! 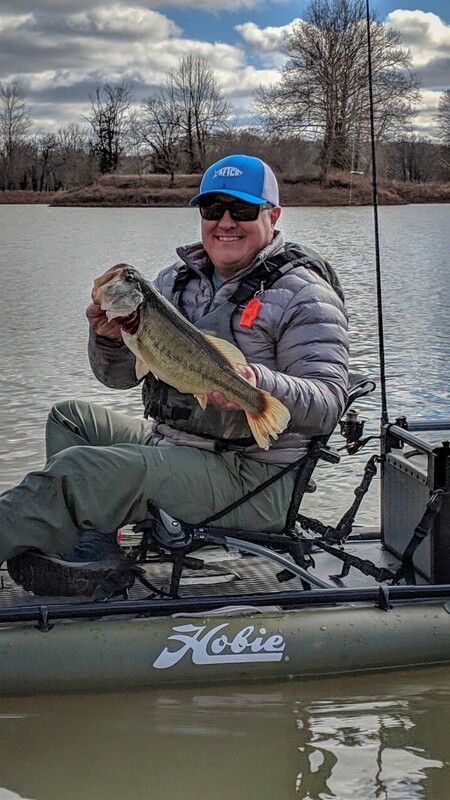 I can put a kayak in less than 4″ of water and not get stuck, which affords me the opportunity to get in there and catch the big one. Favorite body of water | I love fishing anybody of water time allows, but at heart I enjoy shallow winding rivers most. Rod | Reel | Line | Shimano and IRod rods, Shimano baitcasters and spinning reels, Prower Pro braid, Seagar fluorocarbon, Trilene monofilament. Go to lure / technique | Reaction baits and hardbody swimbaits. 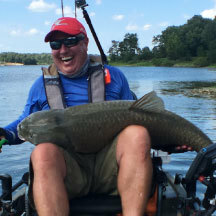 Why kayak fishing | The experience of fishing from a kayak is something unlike anything else in fishing. I can go anywhere. Whether it’s a pond, creek, lake, or the ocean nothing is off limits. I just have to supply the power to get there which also provides a challenge that adds a whole new aspect that you can’t get in a bass boat. All together it adds up to make a fishing experience unlike any other. Why kayak Fishing- A kayak, canoe or SUP is intimate with nature. I came to realize this early from floating streams in rented canoes as a child. Fishing for Pumpkinseeds or Goggle-eye and camping with my dad and brothers was the gateway to a love affair with fish, animals and the outdoors. My passion for the water has only grown and I will continue to help others become stewards of our most precious natural resource. Go to lure | Crank baits (all sizes)Deep drivers to Rattle Traps. Banging the bottom with the 25 footers. 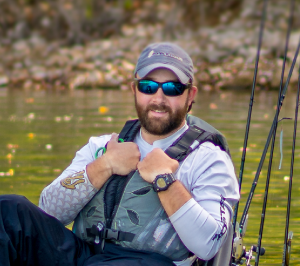 Why Kayak fishing | Kayakers have a better connection with the water. 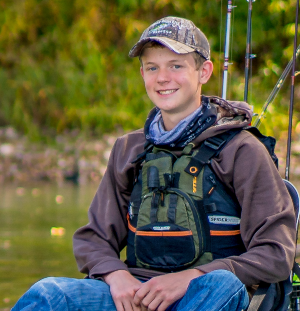 It's a close nit family of people who love fishing, kayaking, and adventure. You're able to load up at a moments notice and hit the water. Fishing areas that bigger boats can't get to, and waders do want to try. Challenging yourself daily on each and every outing to improve your skills and share our passion with others in the outdoors. Go to lure / technique | I'm a streamer stripper almost always. Usually sculpin patterns for trout and Wooley Buggers for smallies. 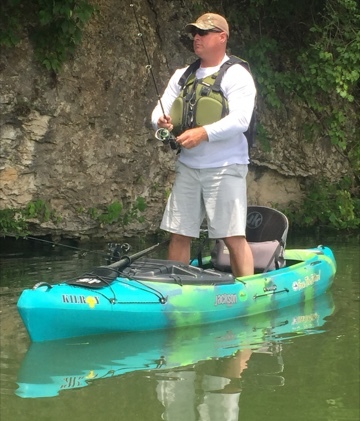 Why kayak fishing | I have been kayak fly fishing for the last 25 years, mostly on the Texas flats. I like the quiet solitude of the kayak. 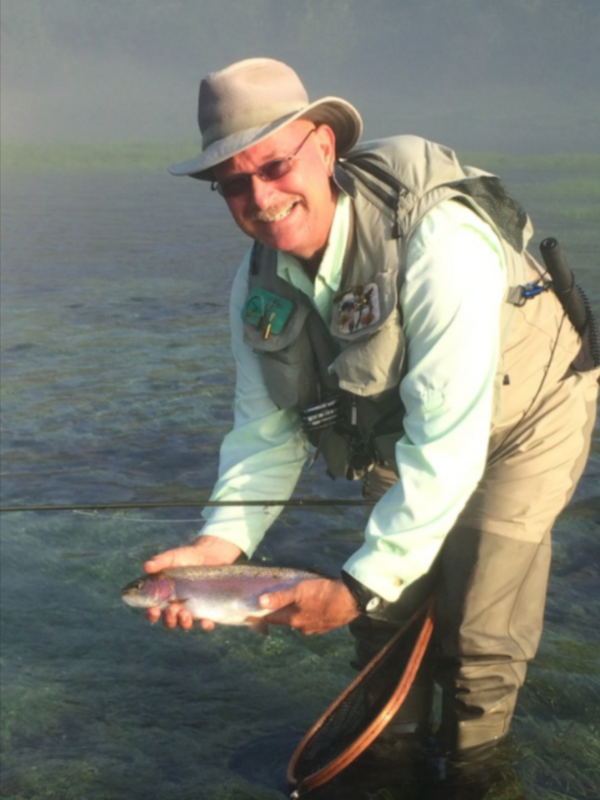 I spend most of my time trout fishing now and the combination of the fly rod and the kayak make every fish seem special. The stealth and ability to get to hard to reach places are unequaled by any other watercraft. It's the only way to fish. 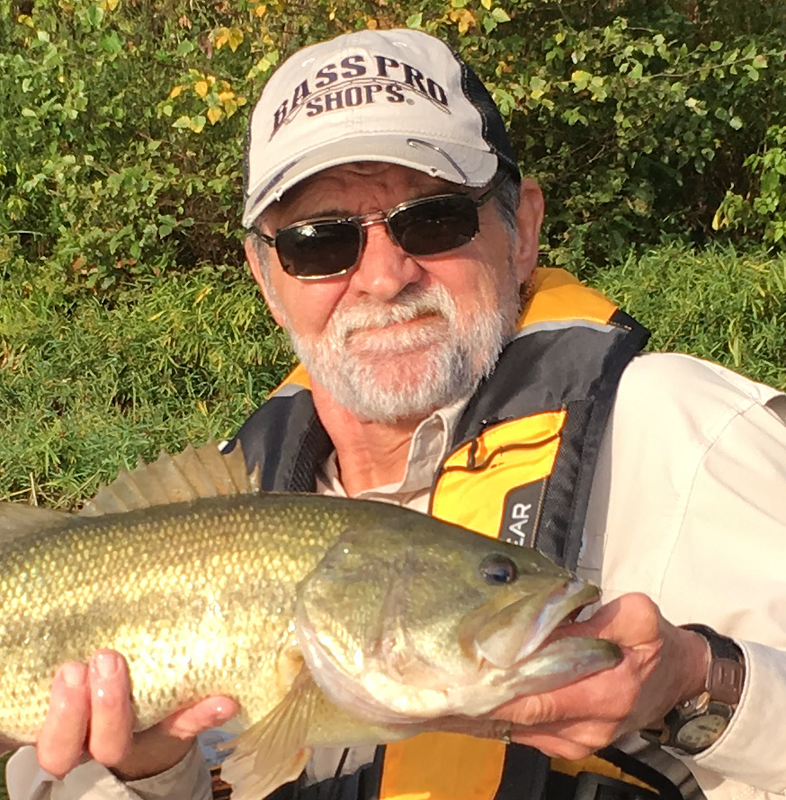 Rod | Reel | Line | St. Croix Avid, spinning-Mitchel Pro, baitcast-Lews BB1, line changes with reels or species of fish but mostly Flourocarbon for spinning, mono for baitcast Spinnerbait from Misfit fishing. Go to lure / technique | Soft plastics are my go to baits. 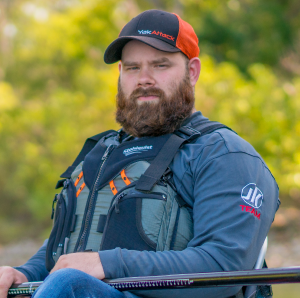 Why kayak fishing | Although I enjoy an occasional romp around the lake in a bass boat, the quiet solitude and intimacy with nature I get from kayak fishing can’t be beat. Kayak fishing allows me the freedom to load up and hit literally any body of water I want; lake, river, creek, pond, ocean, it doesn’t matter. For me kayak fishing isn’t simply a hobby, it’s where I can wind down and relax, hang out with friends, be alone, enjoy nature, spend time with God, no it’s more than a hobby; it’s a way of life.